Why have your taxes prepared by an Oregon Licensed Tax Consultant? PAUL PICADO-CURTIS JOINS HIS FATHER STEVE CURTIS AS A TAX PREPARER THIS YEAR! My name is Paul Picado-Curtis. I am the son of Steve Curtis. 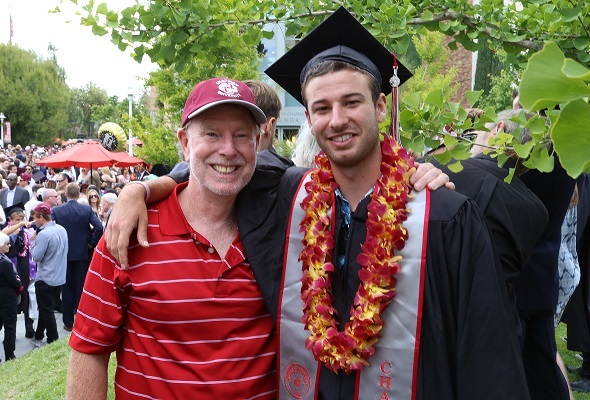 Last summer, I graduated from Chapman University with a degree in Business Administration. I’ve always had a curiosity about the financial world and have wanted to follow in my dad’s footsteps. After graduation, I began taking the course to become a licensed tax preparer, and, with the help of my dad and many hours of study, I passed the state exam and received my license. My parents instilled in me a love of travel and freedom to forge your own path in the world, and these values have guided me to where I am today and what I want in the future. I was 11 years old when my family embarked on a year-long trip around the world in 2005-06 (www.picadocurtis.net). In one of our volunteer projects, we worked at the Cape Pakarang Boat Yard in Khao Lak, Thailand, making traditional long-tailed Thai fishing boats for fishermen who had lost their boats in the December 2004 tsunami. When we delivered a finished boat to one village, we were greeted by the whole community, the emotion and gratitude written on their faces as they clambered around the beautiful boat and ushered us to a celebratory feast. In this moment, I saw how something that seemed so insignificant, such as sanding and painting the trim on the boat, one of my jobs while we were there, when coupled with the work of a team all working toward the same goal, could be so powerfully transformative to an entire community—actually enable them to once again provide for their families. This experience, coupled with my educational, work and travel experiences since and now working with my dad this tax season, will provide me with valuable lessons in business that I can then apply to my future endeavors. I enjoy working in the financial field because I believe that I can help people fulfill their dreams and aspirations by using my educational base in business and tax preparation. I plan to apply to the Peace Corps for this upcoming year and hope to continue to help people around the world by applying my business and financial expertise and global perspective gained from this experience, our family’s extensive travel experiences and my bicultural Portuguese-American background.